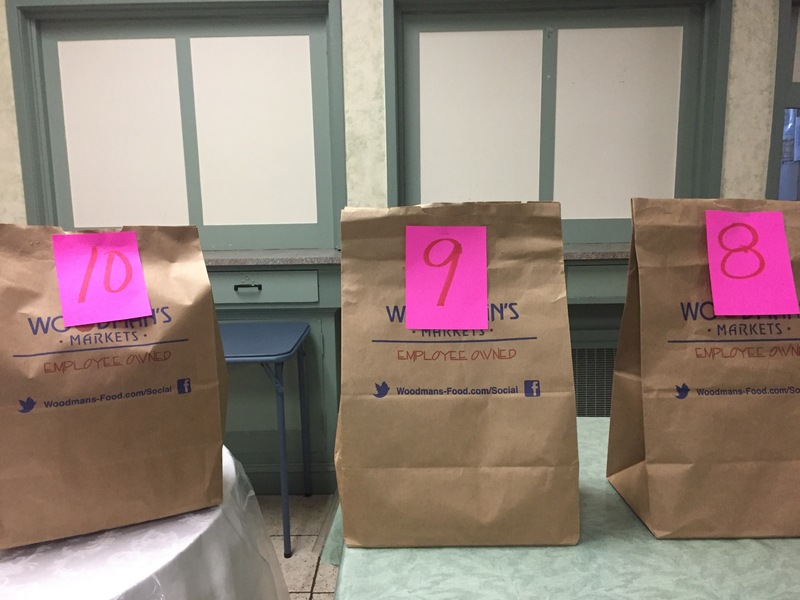 The organizer will then renumber all of the bags and redistribute them. Participants will not know whose bag of supplies they have. To keep it all a mystery, the bag may not be opened until you are home. Everyone will need to use the same size plain paper grocery bag (or all from the same grocery store) so you can keep the bag owner a mystery. 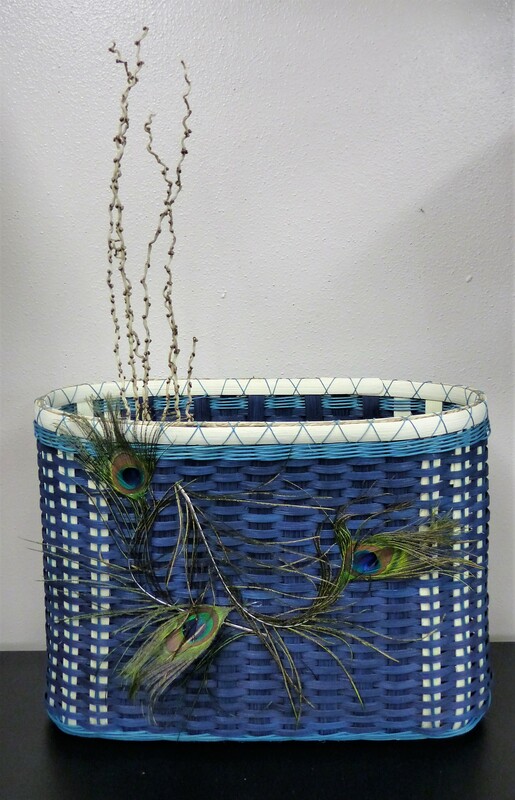 Dyed reed, wood, embellishments, natural fibers, handle, fabric, dye, wood base, waxed linen, yarn, beads, paper, wire… basically anything you have ever thought about putting into a basket or have seen in a basket. Be creative and have fun with it. Also remember you are not providing all of the material for the basket- you are providing items to encourage creativity. As you can see all of our baskets were beautiful. The basket on the right is the piece I received back from Roberta. I love it! and I feel honored to have one of her original pieces. I met Roberta when I first started weaving, I am so glad that all these years later we are still sharing this basket weaving journey. I hope you have fun with this idea. PS: Looking for another creative exercise for your guild? Check out our Traveling Basket Project here. 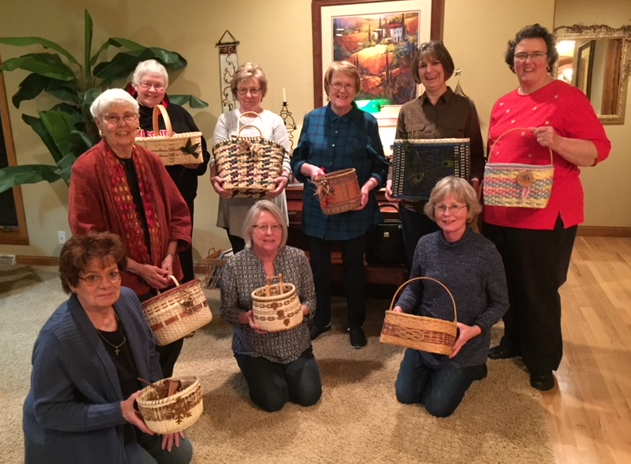 What a great way to start the creative juices flowing, and make a better connection with your basket buddies. Wow! They all turned out great!! Love, love, love this idea!